This is my version of a drink you can buy in Chinatown, PA. It is a (really) simple recipe that is great for the summer. I recommend using a strainer to prevent any seeds or pulp from getting into your finished Honey Lemon. Next comes the honey. Pour this into a heat-safe container. Since this is a simple recipe, the quality of your ingredients really makes all the difference. Normally I would use unprocessed organic honey, but I was all out. 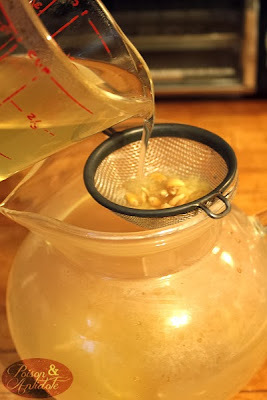 This time I used clover honey, which turned out just fine, but you can definitely taste the difference. 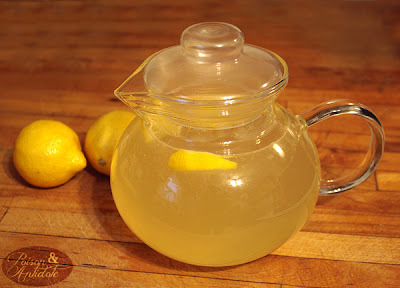 I used two tablespoons worth, but I like my honey lemon tangy. If you'd like it to be sweeter you can add more honey. 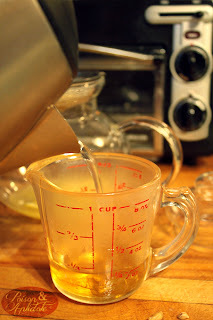 Add a bit of boiling water to your heat-safe container and stir until your honey is dissolved. 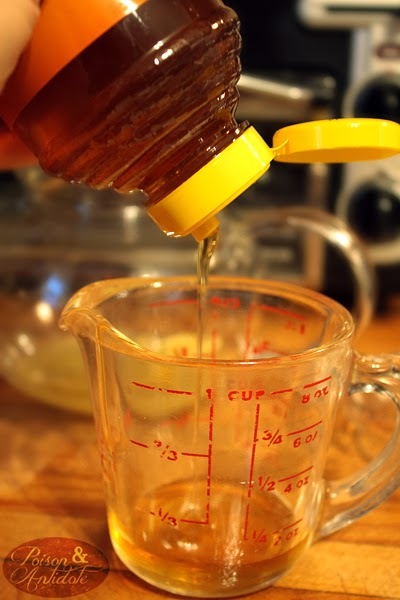 This step will save you a lot of stirring later and it'll make sure there are no globs of honey at the bottom of your drink. Add the honey mixture to your pitcher. I poured mine through my strainer just to make sure all got all the lemony flavor out of the remaining pulp. To finish, all you have to do is add your 5 cups of cold water, give things a stir, and you're all done! I poured mine into a huge water bottle and took it on my day trip to the beach. It kept me nice and hydrated while I was laying out in the sand. 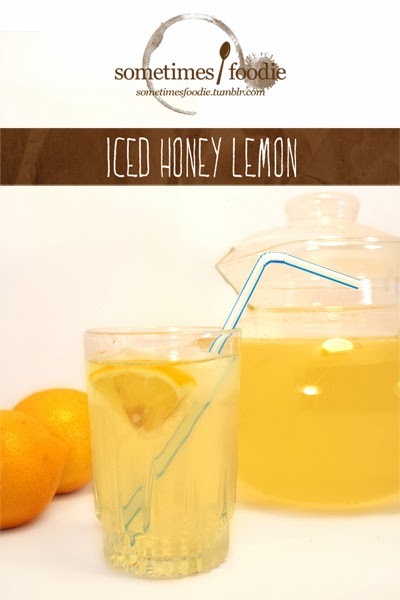 *I recommend organic honey and if you like your drinks to be a little on the sweeter side you can always add more. Juice your large lemon. 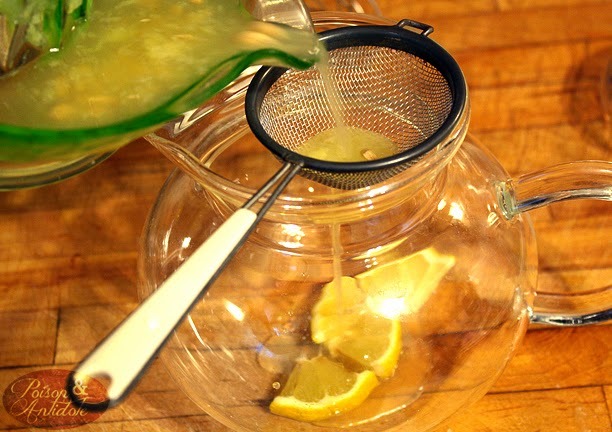 Use a strainer to prevent pulp and seeds from getting into your finished beverage. Add the lemon juice and honey mixture to your pitcher. 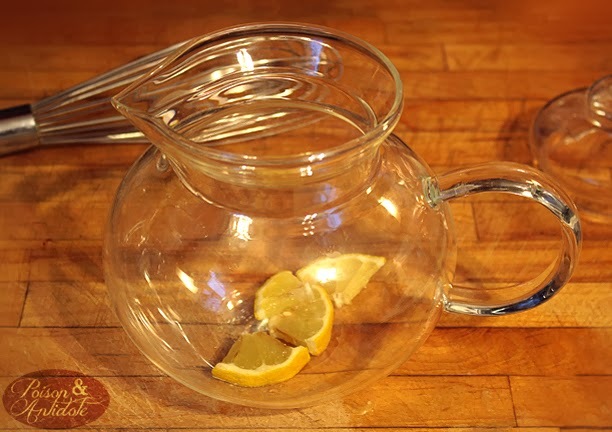 Add 5 cups of cold water, stir, and you're done!